Whether new to Dragon or wishing to broaden your knowledge about this amazing technology, we have placed a huge number of resources on this small 8Gb thumb drive to assist you in your use of Dragon. Small enough to attach to a key-chain, it includes enough extra storage space to serve as a place to store your own information. Speech Recognition Software: the Medical Provider's Guide. This 90-page guide, aimed to users of Dragon Medical Practice Edition 2, is a broad overview of concepts helpful to all users of Dragon. The guide comes in the form of PDF, which you are welcome to print. Dragon Medical Practice Edition New User Training Program: This 90 minute video, produced and narrated by Speech Recognition Solution's founder and clinical cardiologist, Jon Wahrenberger, MD, takes a new user through basic use, best practices, and tricks needed to use Dragon Medical Practice Edition efficiently and effectively. While oriented to medical users, most of the information will be helpful to any Dragon user. Commands for Downloading: Intended for the medical user, we provide a series of Dragon commands useful to the medical practitioner, including commands related to exam, note templates, differential diagnosis, and general utilities. Each command set comes with a document describing the commands, an XML version which allows you to see the contents of the command set in a web browser, and the actual .dat file for importation to your version of Dragon Professional, Medical or Legal. Our original "Guide to Dragon 10 Medical"
Miscellaneous speech recognition resources, including our "Accuracy Guide", "Microphone Selection Guide", "Microphone Set-up & Troubleshooting Guide"
In many respects, this thumb drive contains every useful bit of information we have collected, organized, and authored since starting Speech Recognition Solutions in 2005. 7/10/2014 – What is this product and does it work? 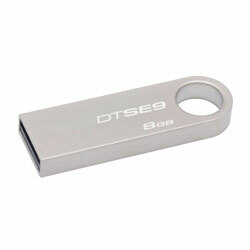 Response From Speech Recognition Solutions: The product is the small pictured thumb drive which can be placed on a key chain and inserted in a USB port on your computer. The key or thumb drive does not interact with Dragon or do anything directly to assist in the functioning or accuracy of Dragon. Less than 1GB of the drive is allotted to a variety of speech recognition resources, including our recently (electronically) published book on DMPE2, a video guide to Dragon (1 hour long tutorial), a bunch of "how-to" tutorials, and more. Although freely available elsewhere on our site and elsewhere (including Nuance), the drive assembles a bunch of official user guides, workbooks, administrative, guides, etc. related to Dragon. Finally, the drive includes some commands (mostly beneficial for the medical provider) that can be imported into your professional, legal or medical version of Dragon. So again, regarding your question, the thumb drive or "key" doesn't actually do anything. It's just a repository of useful information for the Dragon user.